Local squash and zucchini farmers are done with their season, but other areas are more than picking up the slack. We’ve made the transition soon to Tennessee and Michigan, and they have plentiful supplies. 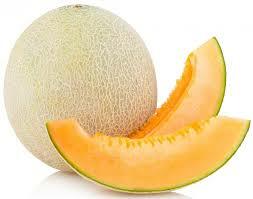 Cantaloupes and honeydews seem to be in season everywhere right now. With Athena varieties coming out of the southeast, and huge quantities being harvested in California, melons are plentiful, beautiful, and cheap. This is a great time to feature them on your summer menus. This week’s weather forecast for the Salinas Valley calls for favorable temperatures with only two of the next ten days expected to be above the normal range. This is perfect growing weather out there. Plentiful supplies are expected over the next few weeks, and demand has dropped off from last week as the pull for the 4th of July holiday comes to a close. Excellent quality is reported this week with nice texture, clean appearance and sizes improving.